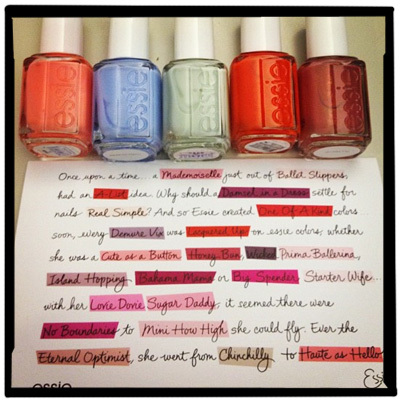 We recently called in some of our favorite Essie polishes for a shoot and got this adorable note. It tells a little story about founder Essie Weingarten in a quirky Mad Libs-style that uses their polish names to fill in the blanks. New party game, anyone?